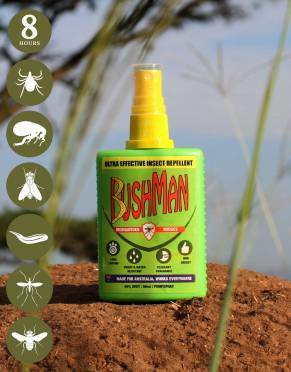 Developed in Australia for the tropics, Bushman is the best insect repellent available in the EU. Tested in harsh conditions for efficacy, it offers high-performance protection on safari and outdoors. 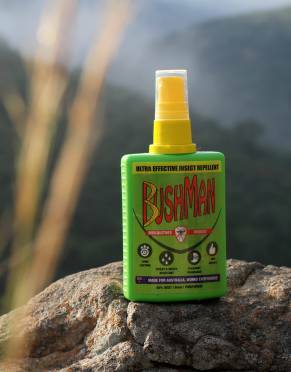 Developed in Australia for the tropics, Bushman is the best insect repellent available in the EU and UK. Tested in harsh conditions for efficacy, it offers high-performance protection on safari and outdoors. When it comes to insect protection, no-one makes better repellent than the Australians. From the quality of their DEET to the years of development in daily Australian realities, Bushman is the top-selling premium repellent in Australia. 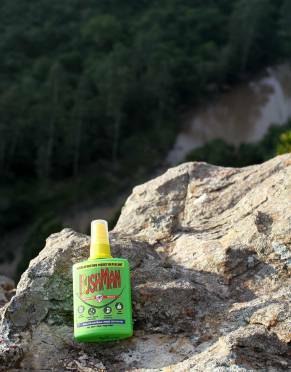 Made for real-world conditions, Bushman Repellent has been tested to be effective even in harsh conditions. 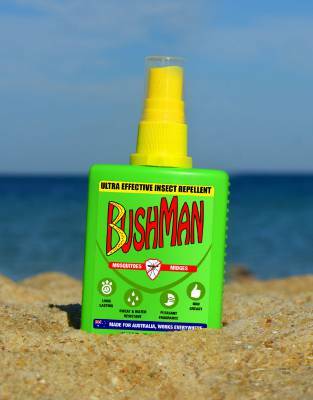 Trusted by the Australian Olympic team in Rio during the 2016 Zika outbreak, Bushman is the top-selling premium insect repellent brand in Australia, selling around 1.3 million bottles in Australia every year - a loyal following of happy customers. 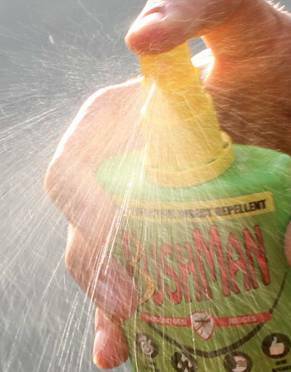 What makes Bushman Repellent special is its formula - features that translate well on safari and in different outdoor environments. The great wearer characteristics of Bushman make it easy-wearing for your comfort for long hours of activities and adventures. Neither oily nor greasy, it is light and unnoticeable on the skin with a neutral scent. It is also water, sweat, and rub resistant which - together with the slow release of its actives - contributes to the longevity of the protection from a single application. 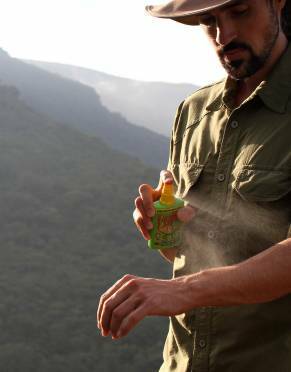 The DEET in Bushman Repellent is a plasticiser and contact with certain synthetic fabrics and painted surfaces may result in discolouration or damage. 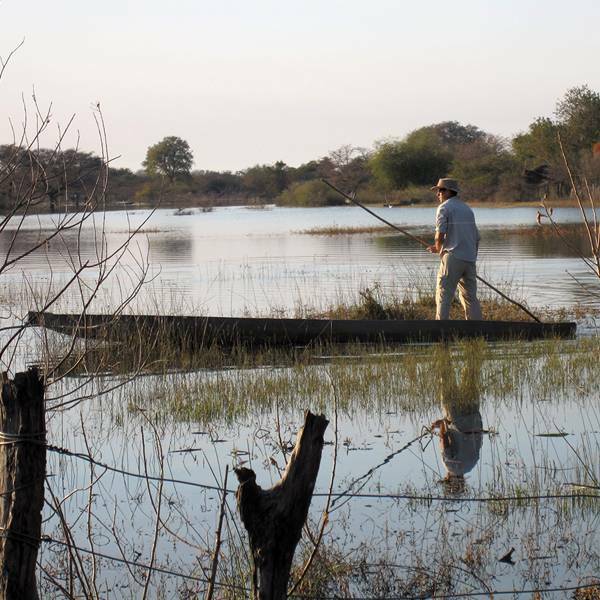 ⊙ AVOID BEING BITTEN: If you are travelling to a malaria area, you will need to take insect repellent as one of the precautions against being bitten. The best way to avoid malaria and insect bites is to cover up in the evenings and use insect repellent. In some areas of the world, you may also find that flying and biting insects are active throughout the day. This is where applying a high-quality insect repellent that works is very important. ⊙ WHY DEET? : Released for use by the public in 1957, DEET is an effective compound which is intensely unpleasant to insects. Regarded as the gold standard in insect repellents, DEET is registered in markets across the world. With an estimated 200 million applications of DEET around the world each year, DEET is recognised as a safe and effective ingredient for use by consumers. Research has shown that a product with 80% DEET will last for 8 to 10 hours. 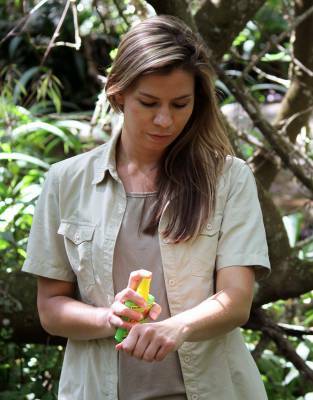 This Bushman 90ml Pump Spray Repellent has a 40% DEET formulation and lasts for 8 hours. DEET at high concentrations is highly corrosive to your precious camera gear and binoculars - and to your skin! The World Health Organisation and most medical authorities recommend that DEET products be below 50% as levels higher than this are known to cause severe skin irritation. ⊙ FAMILY-FRIENDLY REPELLENT: DEET has been classified as safe by leading global health organisations and regulatory bodies. Although many reputable sources claim DEET is safe for use in children from two to six months old, we recommend use for children aged three and up for good measure, as they will then be able to communicate if any irritation occurs. ⊙ FOR MAXIMUM PROTECTION: Combine Bushman Repellent with our BUGTech™ range of clothing. ⊙ HOW LONG DOES BUSHMAN LAST? Bushman has a shelf life of three years.